Quiksilver RF2 Skate Shoe is a Reese Forbes signature skate shoes packed with the latest molded footbed in polyurethane design, anatomically correct arch support and diamond textured outsole for that perfect traction you are looking for in a skating shoes. 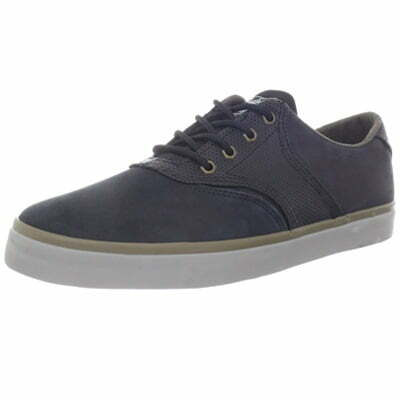 Quiksilver RF2 Skate Shoe is constructed using full grain leather ideal for that casual representation you’ve always longing for on a casual board riding lifestyle. This skating shoes for boys offers not just comfortability and durability but at the same time designed naturally so young and even adult board riders can perfectly connect with the modern board riding competition traditionally or in modern way. This Quiksilver RF2 Skate Shoes has a rubber sole and is proudly made in the republic of Korea.